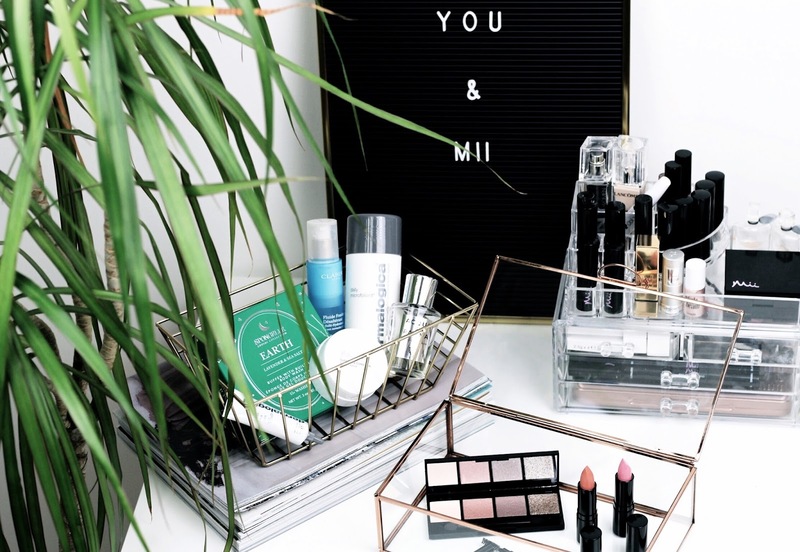 Each and every time Mii Cosmetics bring out a new collection, I spend the next month or so raving about how much I love their products. 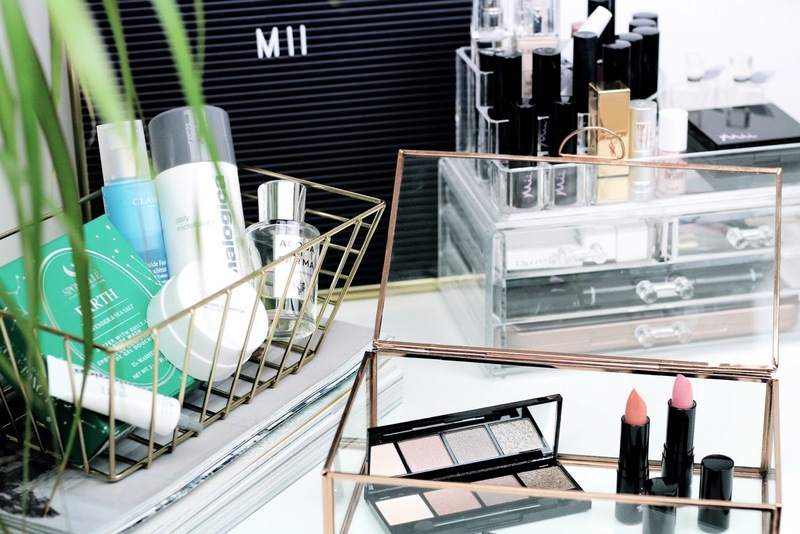 So many of their releases over the past year have become staple pieces in my day-to-day makeup routines! This month, the brand has revealed their Spring collection, Cherish Mii. The collection consists of Beautifying Brow Wands, two new Passionate Lip Lover shades and a gorgeous new Couture Eye Colour Compact. Starting with the most eye-catching of the collection, the Couture Eye Colour Compact c/o comprises four colours, including a glittering shade resembling gold foil. Dreamy. 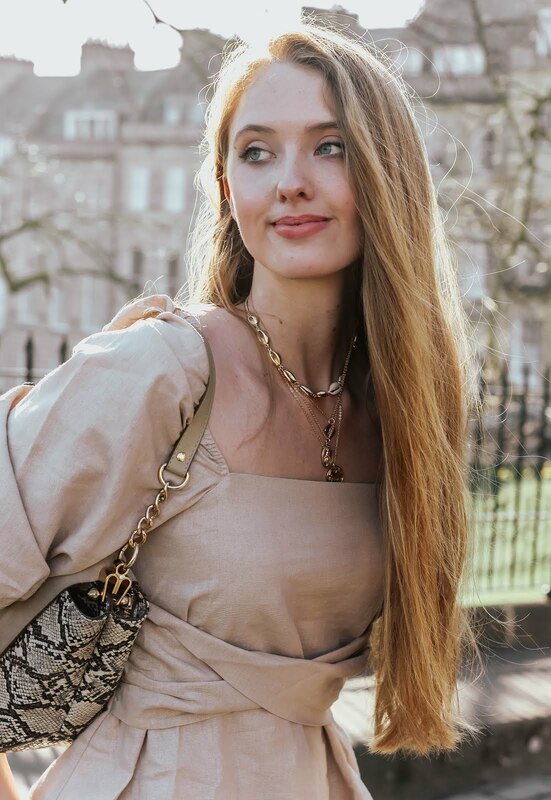 Having still not mastered the perfect smokey eye, this deep metallic hue (Brocade) will be a godsend for nights out during Spring, while Tulle (cream) guarantees bright and fresh looking eyes. Does that mean I can stay up even later blogging? Next up is Mii Cosmetics' Beautifying Brow Wand c/o in Truly Fair. Looks can be deceiving; this simple stick hides a triangular tipped precision pencil, creamy illuminator and grooming brush. 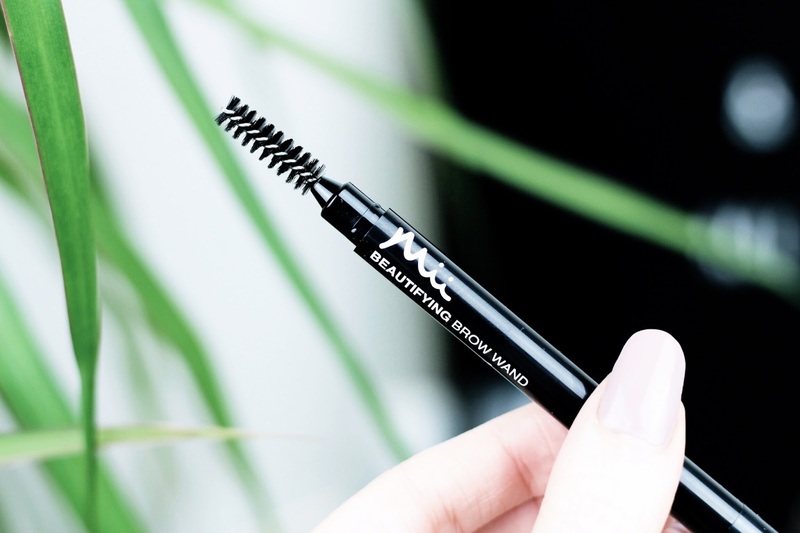 I've tried this a couple of times since receiving it, and as much as I love it, I don't love it quite as much as the Sculpting Brow Builder. For some reason, my patience doesn't extend to my brows and so the ease, speed and high impact of the Sculpting Brow Builder is still my favourite. Having said that, the new Beautifying Brow Wands definitely take first place in design - 3 tools in 1! 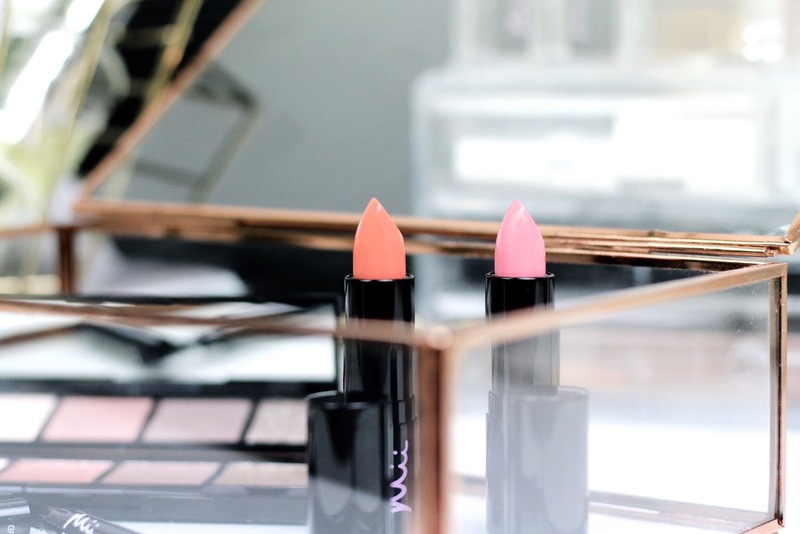 Ooh, anyone else get excited when lipsticks are mentioned?! These pretty two new colours go by the names of Passionate Lip Lover Enthral 12 c/o (pink) and Passionate Lip Lover Charm 13 c/o (coral). Having never worn a coral lip shade before, I was most looking forward to trying Enthral. However, I've ended up completely obsessing over Charm and all of its springlike/summery beauty; it's set my mind on denim skirts, sunscreen and heatwaves! Packed with peptides and vitamins to hydrate and condition the lips, it applies effortlessly - it's literally like rubbing butter on your lips. Seriously. The pink shade takes quite a bit more effort to sit happily on the lips, but 100% delivers those sugary pink Barbie vibes the warmer weather calls for. Psst! Keep an eye out for this dreamy coral shade in an upcoming outfit post! Another new release by Mii this season is the Cleanse & Condition Brush Balm c/o. Okay, hold your hand up if you had no idea brush balms existed?! I never feel as though I'm properly cleaning my brushes (cue me worrying 24/7 about breakouts arriving at the worst times), and so using this deep cleansing solid balm was a strangely satisfying process. It's fragrance free and infused with shea butter to keep brush hairs soft. So, as the title of this post suggests, I also have a few other faves that are winning every second of my attention right now. 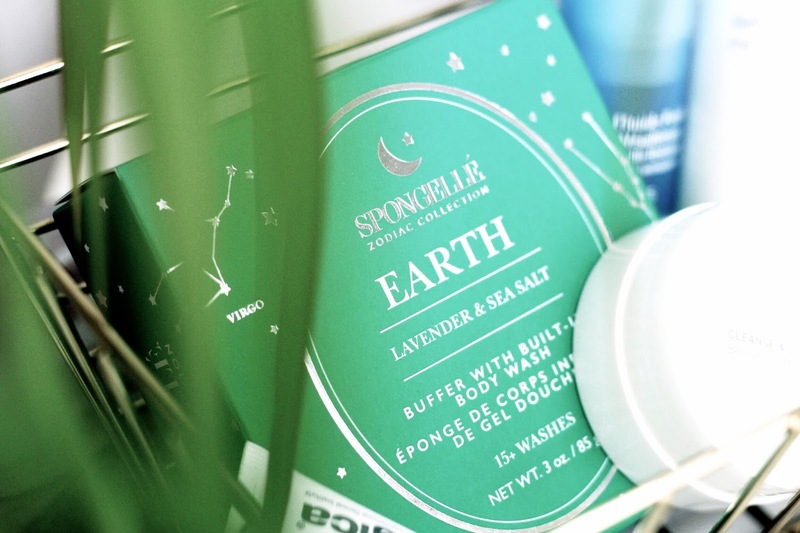 Following on from being introduced to Spongellé back in December, another buffer with built-in body wash has been added to my collection - Earth (to match my Virgo star sign!) from the Zodiac Collection c/o. As with other Spongellé buffers, the sponge is super moisturising, and the Lavender & Sea Salt scent is beautifully subtle and soft; ideal for gentle pampering. 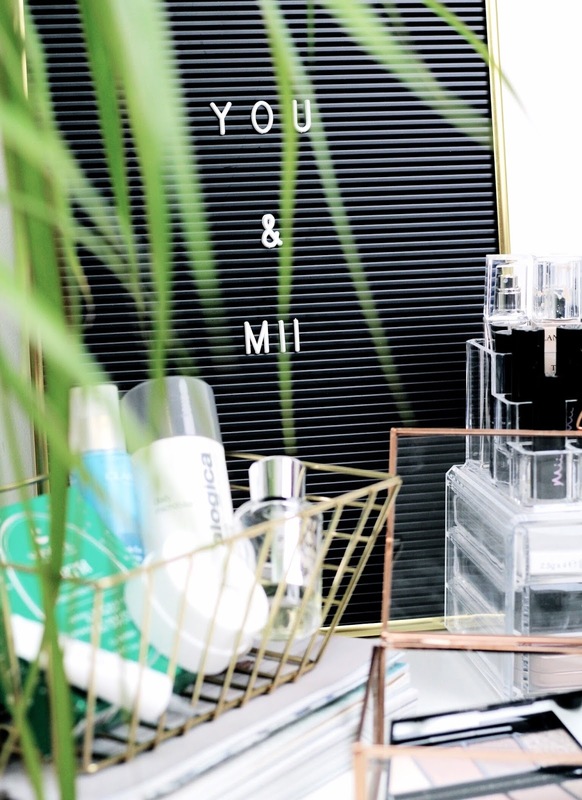 Other beauties seen in this post that have become firm faves of mine, include a couple of Dermalogica products (read full review of my customised skincare regime from earlier this year), Clarins HydraQuench Lotion and Aqua di Parma Colonia. Funnily enough, the latter is an eau de cologne, however transfers onto my skin as a beautifully spicy and feminine scent. Having said that, I'll be switching it for lighter fragrances in a month or two from now. Turning the spotlight back on Mii Cosmetics again for a moment, I have some fun news! A little while ago, I had the pleasure of filming some makeup tutorials with the brand to showcase a couple of looks for their website: The Bombshell Beauty Look and Bridal Look. It was so much fun and definitely taught me a thing or two (or ten) about better application. Anyway, I've shared one of the videos below (starting without makeup - eek! ); check both looks out over on the Mii Cosmetics website and let me know whether you have a favourite of the two looks?! Psst! My favourite element of both makeovers is the eye makeup created for the Bridal Look. Such beautiful makeup, girlie! I recall you sharing your love for this makeup line in previous posts and I can totally understand why, their shades are so pretty and I'm sure look amazing on you! I can't wait to see you wear that coral lip shade! Thanks for sharing, beauty, and I hope you have a great week ahead! You looks absolutely amazing, I think i need to look into this brand. The coral lipstick shade is so lovely! I have to admit I've never actually tried anything from Mii, but it all looks lovely and you've photographed it so beautifully! I'm loving your makeup! Great video! I’ve never heard of Mii Cosmetics but that eyeshadow palette looks sooooo pigmented! I wonder if I can find them here in Australia... Thanks for another great review Gabs! How exciting to have a makeover by one of your fav brands and to be featured in their videos. You look amazing Gabrielle and the red lippie is gorgeous on you. Those lip colors look and sound lovely! All of the products do really. You're not helping my bank account here Gabrielle! how pretty is that palette!!!!! love the lipsticks! It will come to no surprise to you that the makeup with the bold red lips is my favorite. You really wear red lips so well! Mii Cosmetics sounds like such a wonderful brand and I love your video! Love the video! These products look amazing and I think I'll definitely be looking into getting the brush balm cleanser. I can never clean my brushes properly so this is a must have for me! i love ur mii cosmetics reviews gabrielle, the two lip shades are perfect for spring summer and the video you looked soon hot!! Okay I absolutely need everything from this, it all looks amazing! The colors in that eye compact are so pretty. I love the softness of each shade. Gorgeous coral lipstick. Great video. You look amazing Gabrielle . Loved these lipsticks, both colors are so pretty. Those lippies! 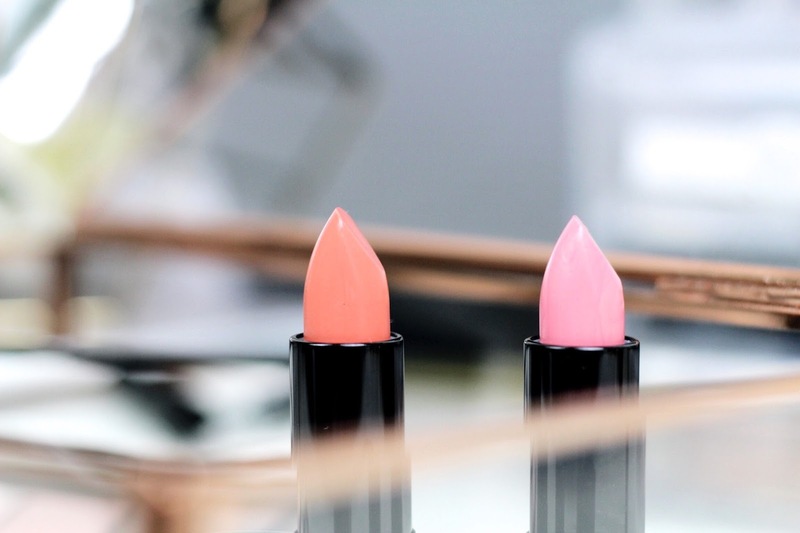 That coral shade looks amazing but I agree, the pink one screams spring/summer. 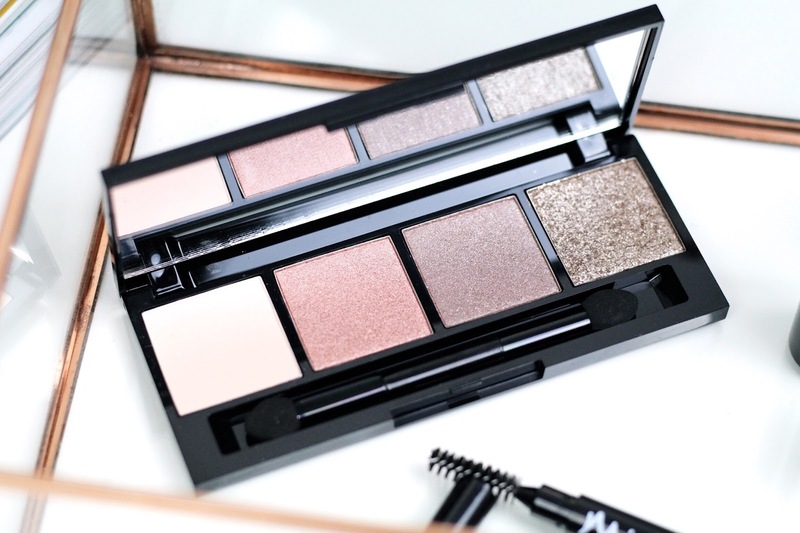 That eye palette is absolutely stunning! I haven't heard of Mii but they sound amazing :) and lovely video as well! I've never heard of this brand, Mii has some lovely colors. What a great spring collection. Hadn't heard about the brand, but the products sound nice. Those lipstick shades are so pretty and suit you! 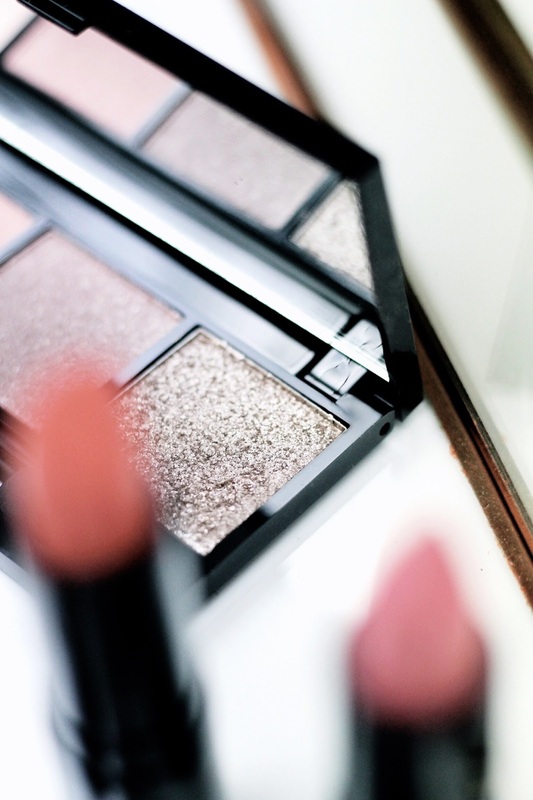 that little eyeshadow palette is so adorable! The Colour Compact is so so gorgeous. Tiny but perfect for quick eye looks! 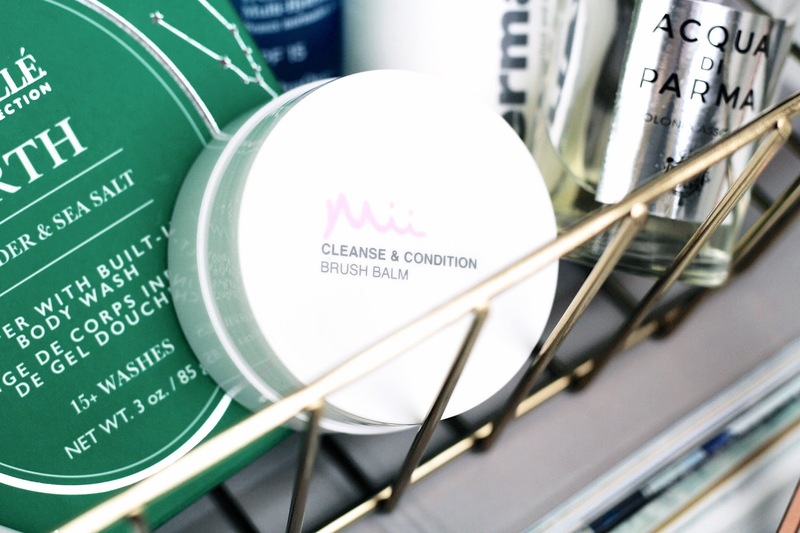 I had no idea brush balms existed, but this sounds like such a great way to clean brushes perfectly - which is something I don't bother to do very often unfortunately, mainly out of laziness! Wow! What a beautiful photo! Wonderful review! I never heard about this brand! This makeup is so beautiful, such a beauty! Just the perfect eyes and lips! Love it!! I love the colors of the eyeshadow palette ! And i love this red lipstick on you. You're so lovely. That coral lipstick has me seriously intrigued. And the eye makeup palette has some beautiful shades. Thank you for sharing your reviews of this lovely looking makeup - I especially appreciate your honesty about the brow wand. You look like a doll! And you look even more gorgeous in video, my dear! On another note, I love how detailed and thorough this post is. It made me interested in the brow wand. And wow, the coral lipstick is just so beautiful! 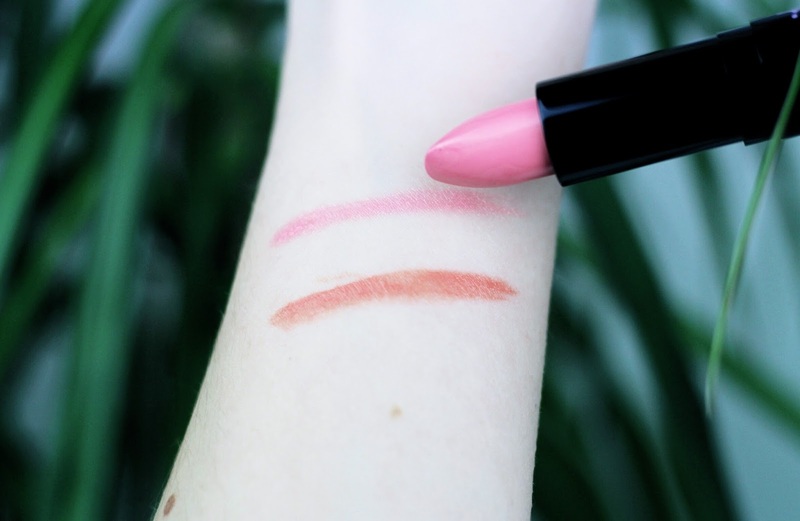 It looks so pigmented and creamy based on your swatch. What a beautiful spring collection - you look absolutely gorgeous, loved watching the video! Gabrielle, you are so gorgeous! I loved watching the makeover with the pop of color. Such great inspo for warm weather. I would be so excited to try the coral shade too - I might have to! Such amazing make up products, hun!!! Totally in love with those beautiful colors, and they're just perfect for spring! I didn't noticed this brand before but definitely worth it! loved the video! I actually watched it twice. I do like this make up look. The red lip suits you so well. You look gorgeous both with and without make up. Great products and reviews! I think make up can be such a great way for us to get creative...It can make us feel more confident, it can give the finishing touch to any outfit, it can be that extra something that adds to some special occasion...but at the same time, it's so important that we feel good even without male up because paradoxically I think that means we're using it the right way, to express ourselves and not to hide behind it...I'm getting philosophical:) but I think you know what I mean. I haven't heard about this brand but it sounds so lovely, their lipsticks look beautiful. I love that eyeshadow palette! What perfect shades!